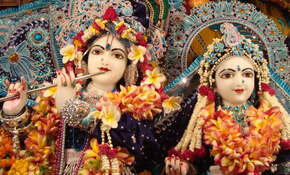 To facilitate higher consciousness in the community through Krishna Conscious festivals. To encourage devotees to serve Srila Prabhupada’s mission in a loving, family spirit. To celebrate the congregational chanting of the Holy names of God. To connect the local people through culture, arts, music, education and healthy lifestyle. When Srila Prabhupada visited Fiji, he mentioned that the best method to preach in Fiji is through Harinam and Prasadam distribution, as the Natives like both. After Srila Prabhupada’s departure, HH Tamal Krishna Goswami took the service of GBC and Initiating Spiritual Master for Fiji. He introduced a variety of preaching methods to move forward the Fiji Yatra and also mentioned that the devotees should hold regular festivals as this is what attracts the local people. He himself brought foreign devotees to do big Harinams, Book distribution, and Prasadam distribution, practically in every town in Fiji. This inspired the local devotees very much and they have taken the instruction of their Guru, to continue the festivals. In 2008, a few disciples of HH Tamal Krishna Goswami (in Fiji and abroad) got together and put up the Festival Of Fiji – which incorporated Harinam, Book & Prasadam distribution, Bus Tour around the Main Island, Picnics, Evening Kirtans & Dramas, Sumptuous Prasadam. About 70 devotees came from Australia, New Zealand, USA, India, and Holland. The festival was enhanced by the presence of HH Vedavyasa Priya Swami, HH Ramai Swami, and HH Janananda Goswami, who both came to Fiji for the first time. 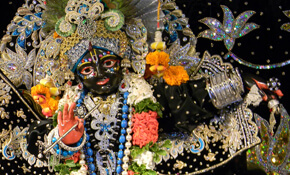 The Festival was so inspiring that the devotees requested to hold it more often. So in 2010, the Festival Of Fiji was celebrated again, together with Sigatoka Temple Opening. HH Bir Krishna Goswami, HH Vedavyasa Priya Swami, and HH Janananda Goswami blessed the occasion. One of the highlights was Island Boat Cruise and HH Janananda Goswami pioneered the Kirtan with HG Kalasamvara Prabhu from New Zealand. Devotees really “rocked the boat”. The passengers as well as the staff enjoyed the Kirtan and Dancing, and decided to join in. Not only we had the Harinam on the Island but also a Maha Harinam on the Boat. The Festival Of Fiji Tour continued around the Main Island with Harinam, Prasadam & Book distribution in every Town. In 2014, about 80 international devotees shared in the bliss with local yatras in Fiji, celebrating the Vyasa Puja of HH Tamal Krishna Goswami. HH Ramai Swami, HH Vedavyasa Priya Swami, and HG Kalasamvara Prabhu blessed the occasion as well. It was a wonderful reunion and the additional highlights of the festival were Radha-Krishna Boat Festival at Sigatoka Temple, Island Boat Cruise, Fijian Village visit, Maha Harinam and Prasadam distribution in Towns and Schools, Initiation Ceremony, Rathayatra in Lautoka, picnics and much more. We had similar experiences in 2017 with the additional celebration of the Vyasa Puja of HH Bir Krishna Goswami. Now we are gearing again for another thunderous festival in Fiji in 2017. 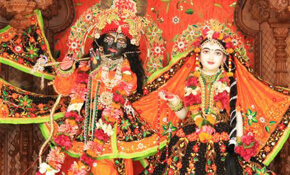 Devotees from around the world have already shown their enthusiasm to attend. The people of Fiji have experienced the bliss of this festival many times… in 2008, 2010, 2014 and 2017. The next major one is this year, and you just can’t afford to miss out! The Festival Of Fiji organizers are looking forward to welcoming and serving you all. When Srila Prabhupada visited Fiji, he mentioned that the best method to preach in Fiji is through Harinam and Prasadam distribution, as the Natives like both. If you are enthused, excited, and inspired to help spread the Holy Name around, or assist in Srila Prabhupada Books and Prasadam distribution, or like to sponsor a Sannyasi, we would greatly appreciate your support of the Festival of Fiji! Visit our Donations page and choose from specific service support or general donation options.